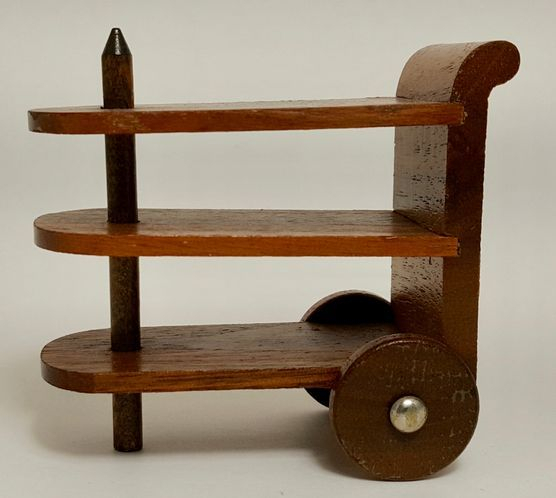 Strombecker 1" scale serving cart with 3 shelves and wheels that turn. 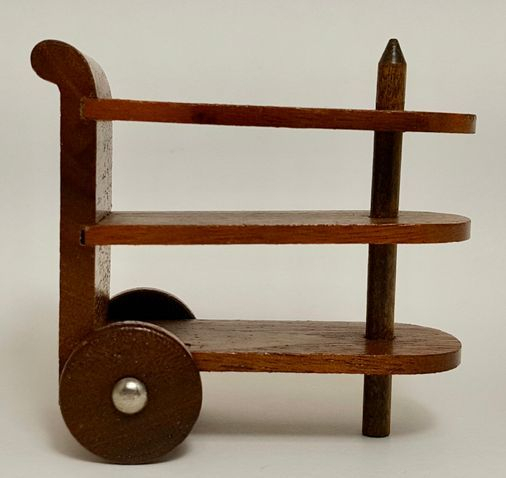 2 5/8" tall, 2 7/8" long. 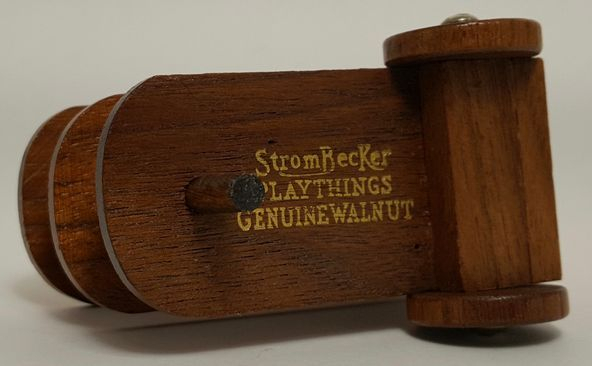 Stamped on the bottom "Strombecker Playthings Genuine Walnut". Excellent condition.